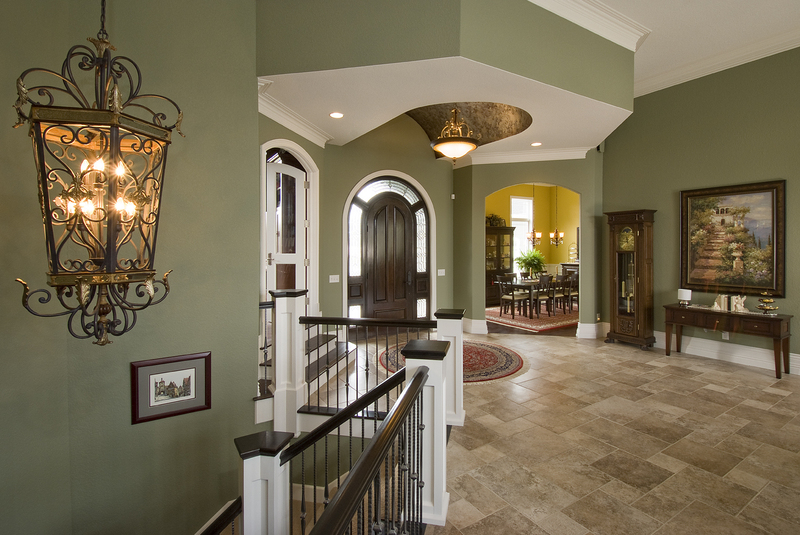 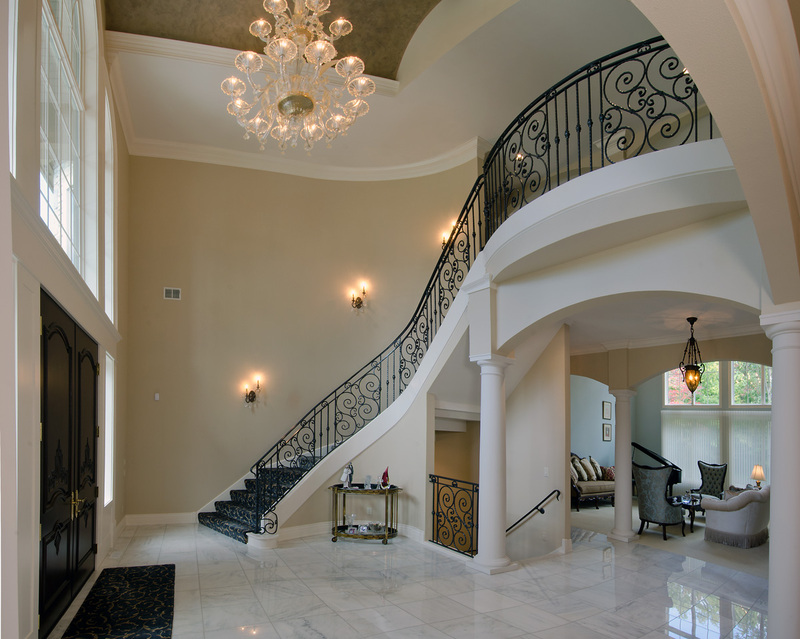 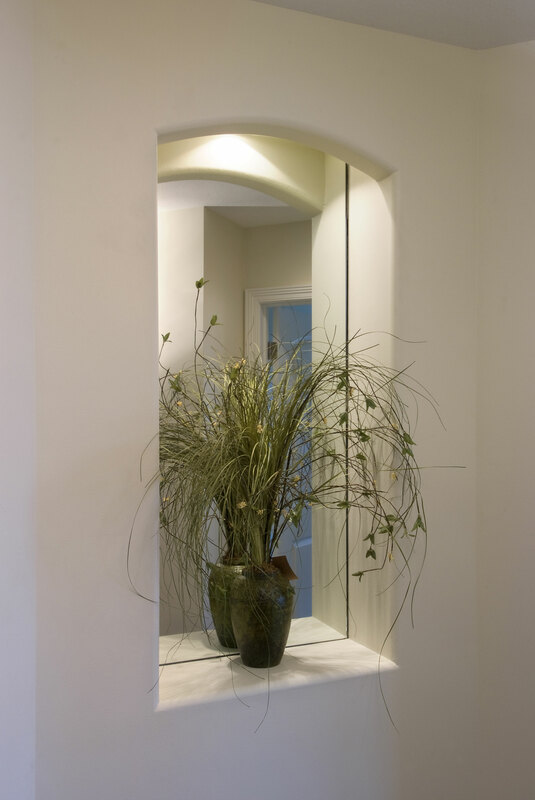 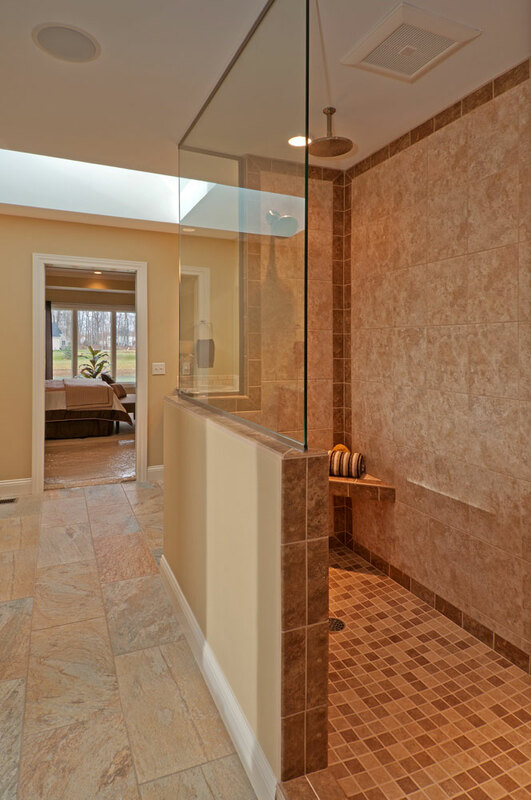 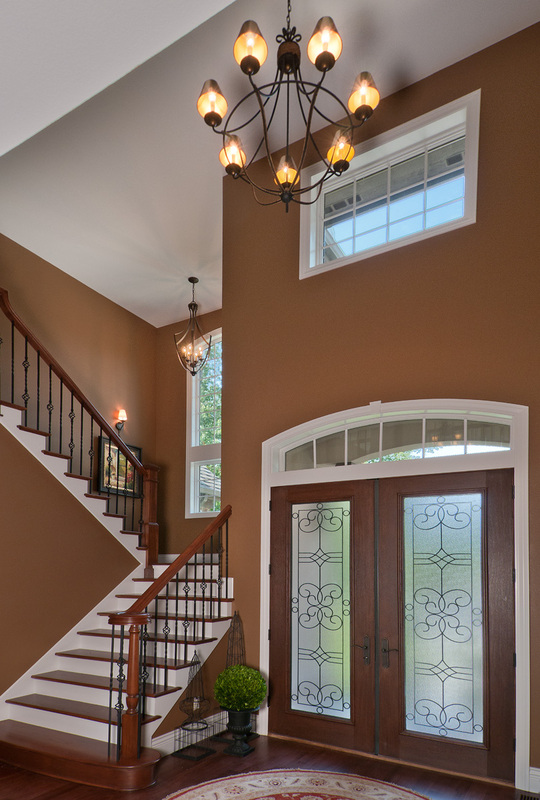 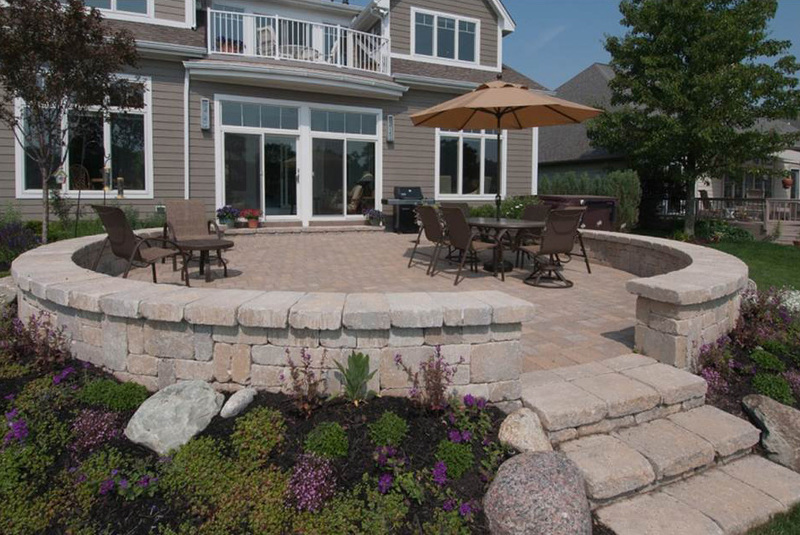 Moline Builders is known for beautiful designs that are creative and functional. 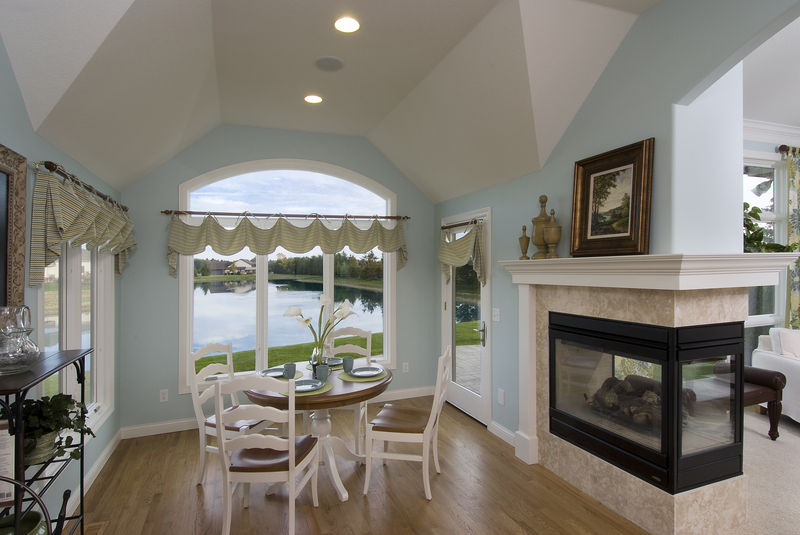 A decorative ceiling gives a room personality, makes the room feel more spacious and adds height for a celing fan or chandelier. 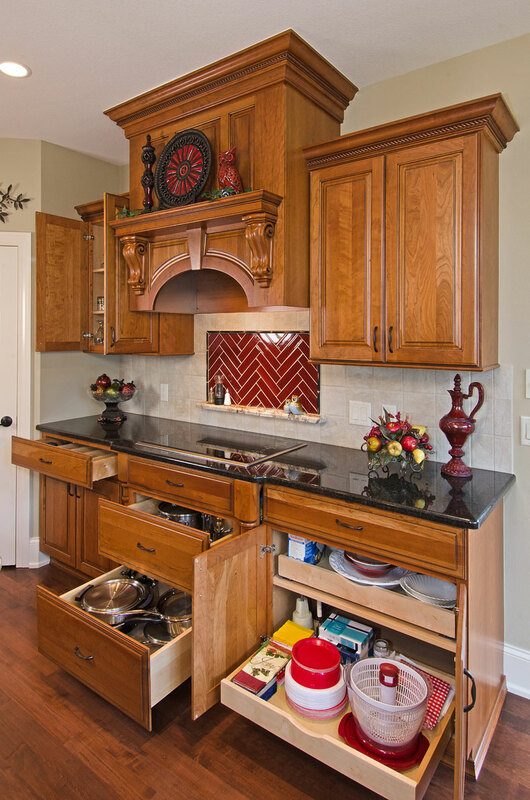 Conceal your appliances with beautiful cabinetry. 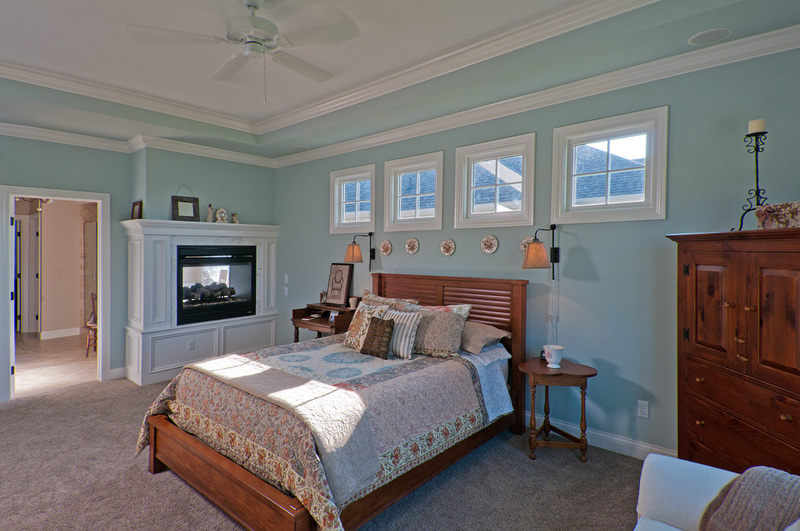 is enjoyed in the master bedroom and above a soaking tub in the adjoining master bath. 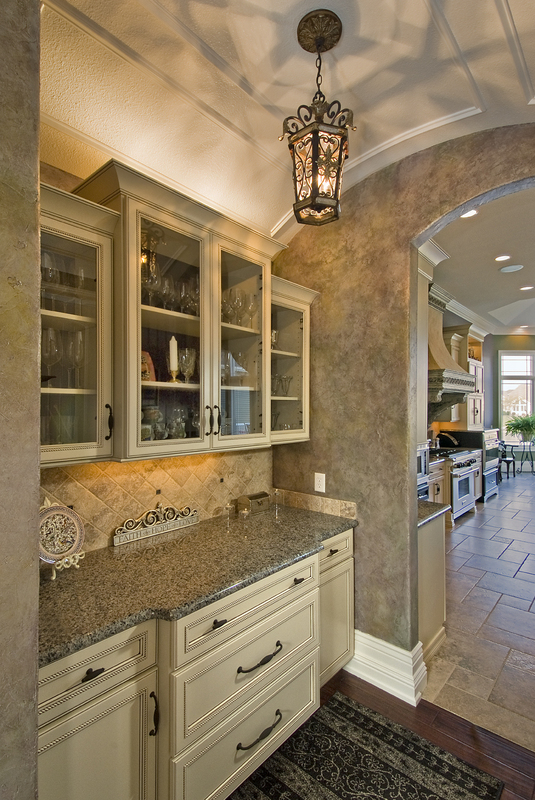 Custom built exhaust hoods are attractive and are more efficient than an above the stove microwave. 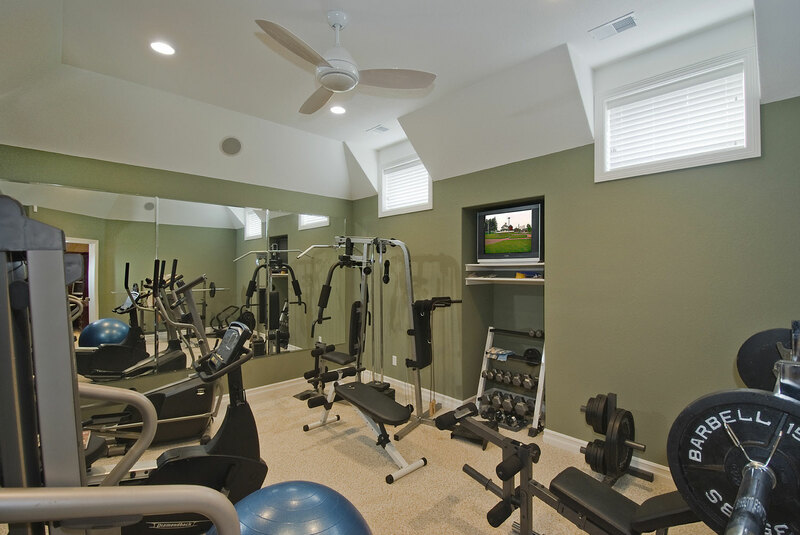 A work out room keeps you healthy and reduces stress after a busy day. 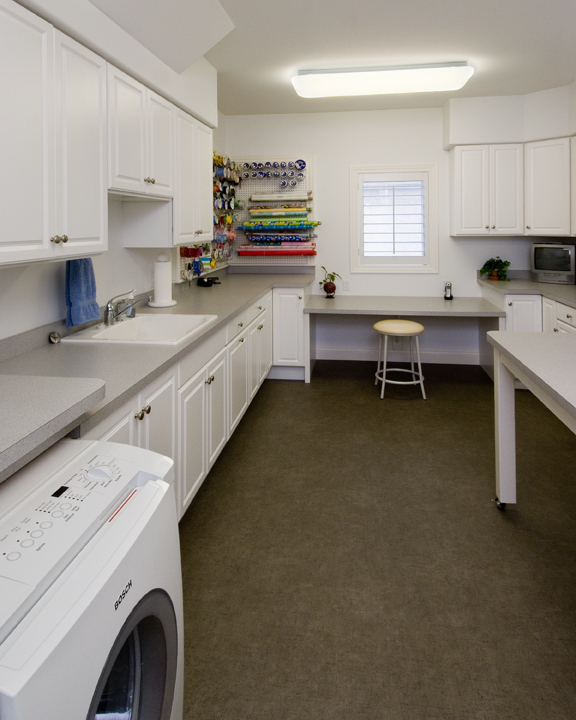 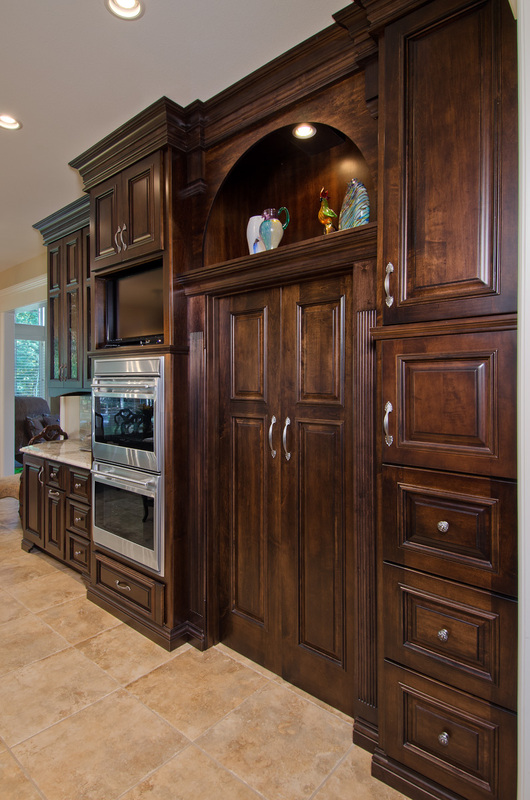 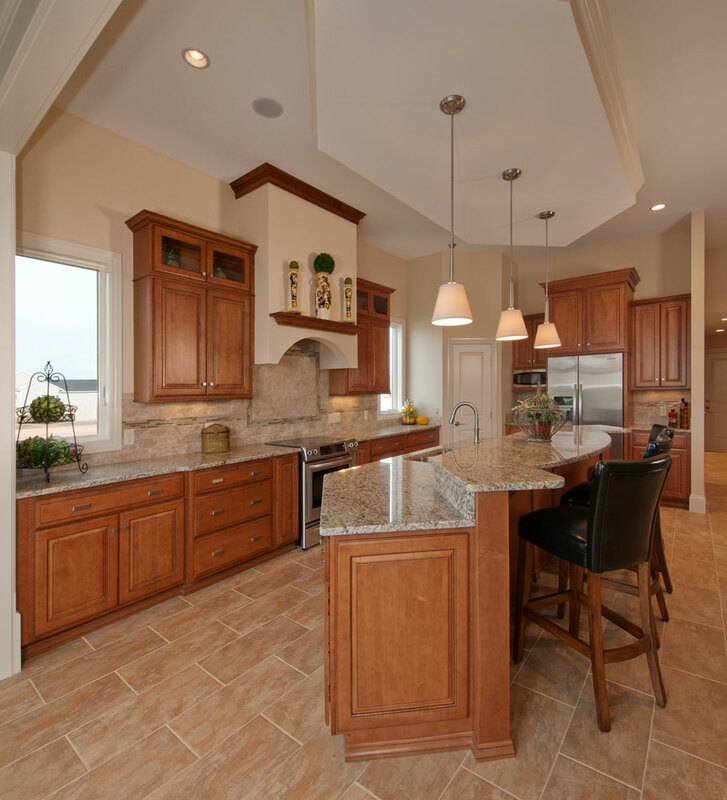 Our custom built cabinetry can be designed and built to fit the room and your needs. 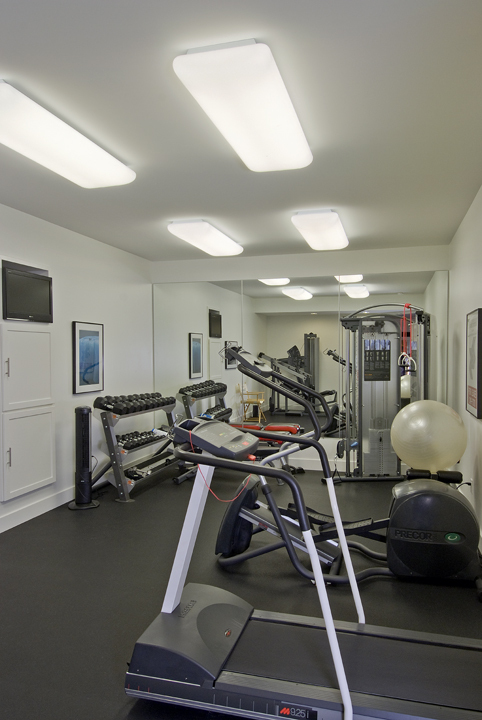 Consider organizational needs when building. 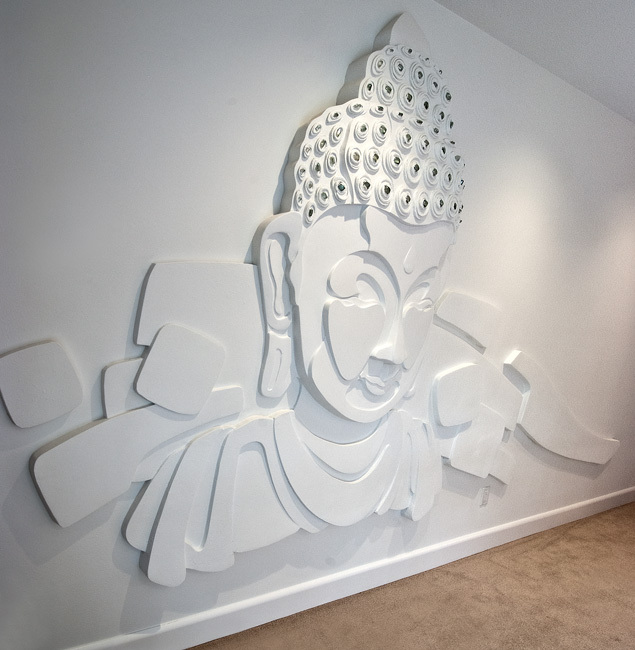 Drywall art can make a dramatic statement. 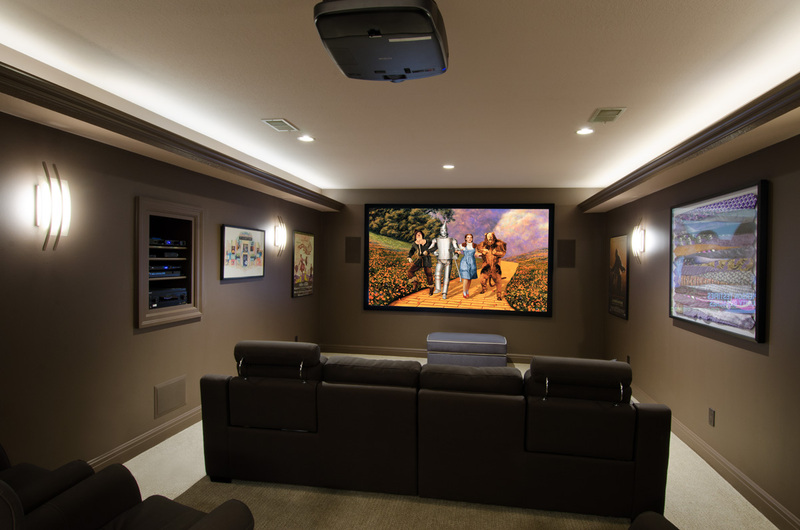 We can build your theatre room with state of art audio and visual equipment. 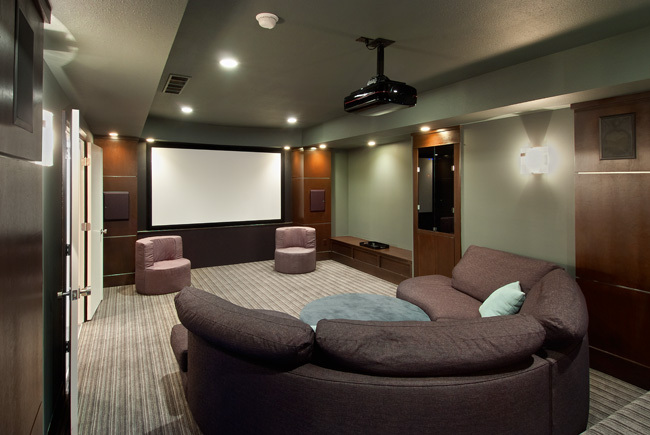 You must provide the popcorn. 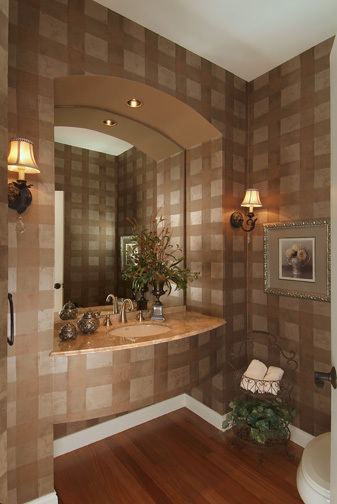 heads, end the day with relaxing steam. 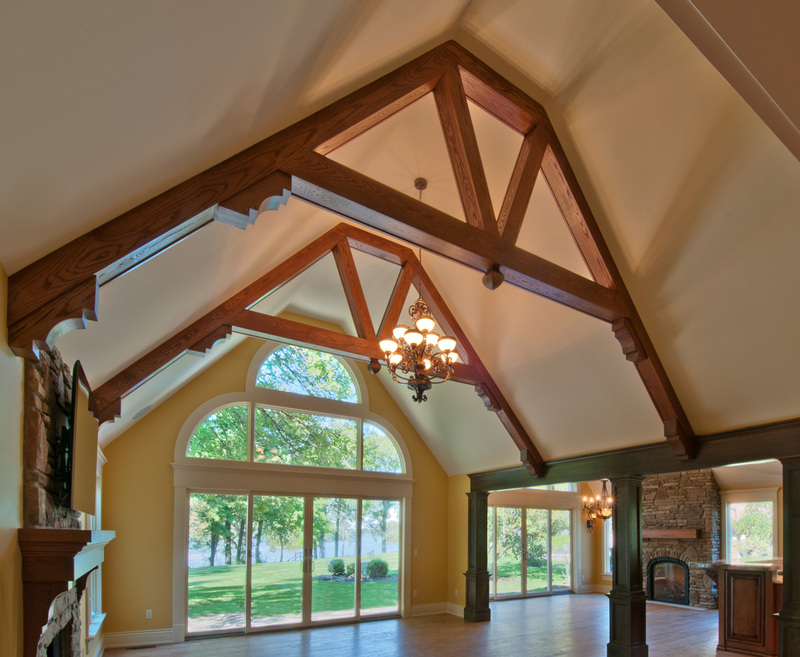 Rustic beams become the focal point and enhance the beauty of a Room. 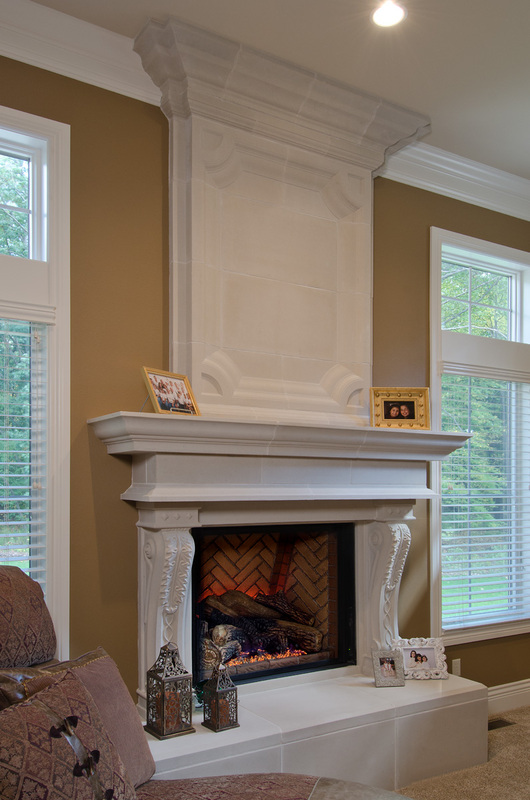 This elegant limestone fireplace was built on site. 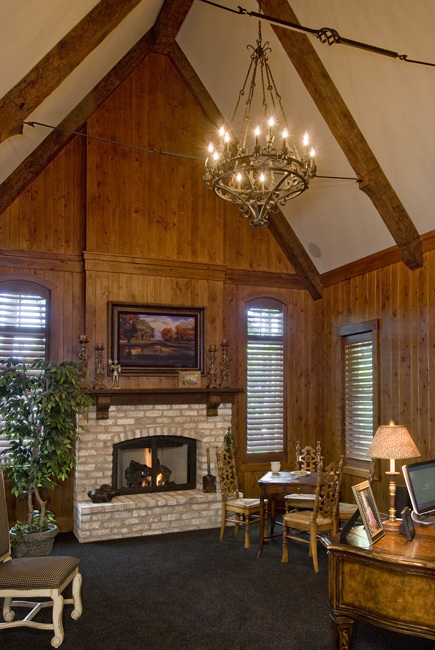 A barrel ceiling was used in this butlers pantry area. 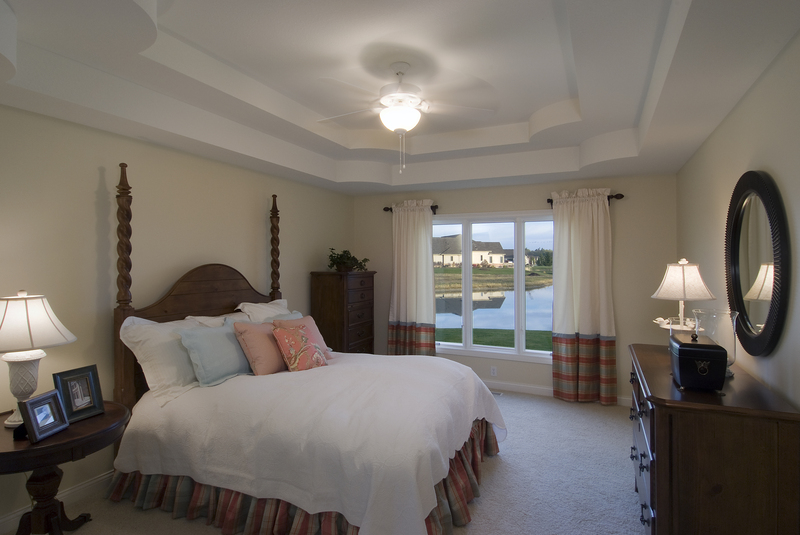 Our coffered ceilings have become a favorite of our clients. 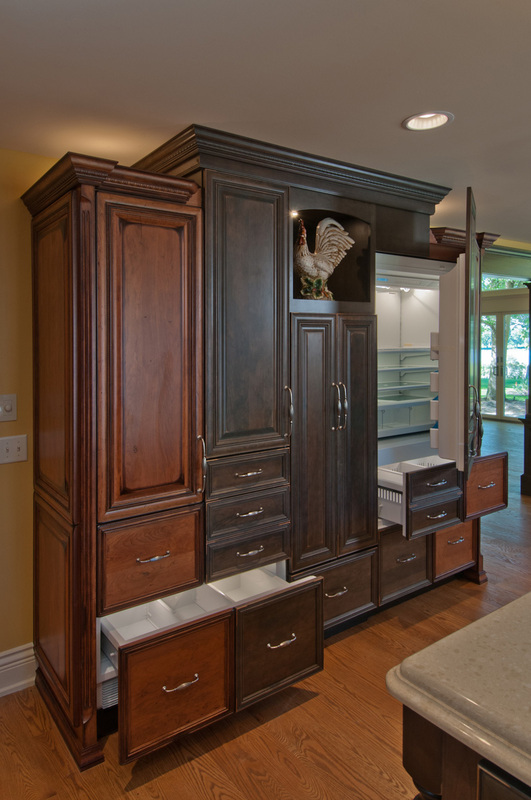 You'll appreciate the convenience of a built-in locker to store garments and a bench to sit on to removes shoes. 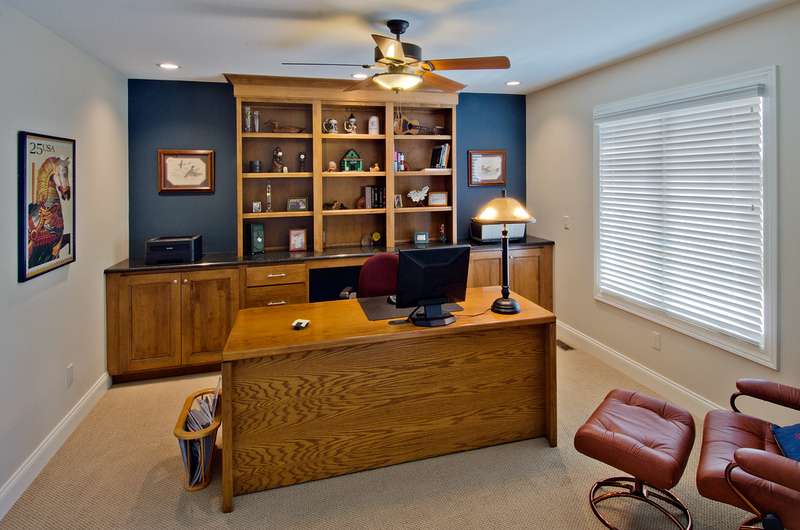 Our home offices can be a place to work or simply a refuge to read that favorite book. 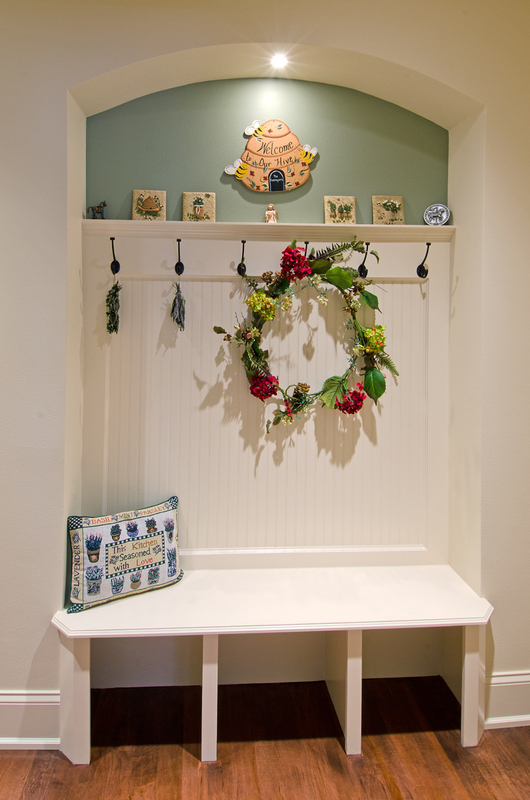 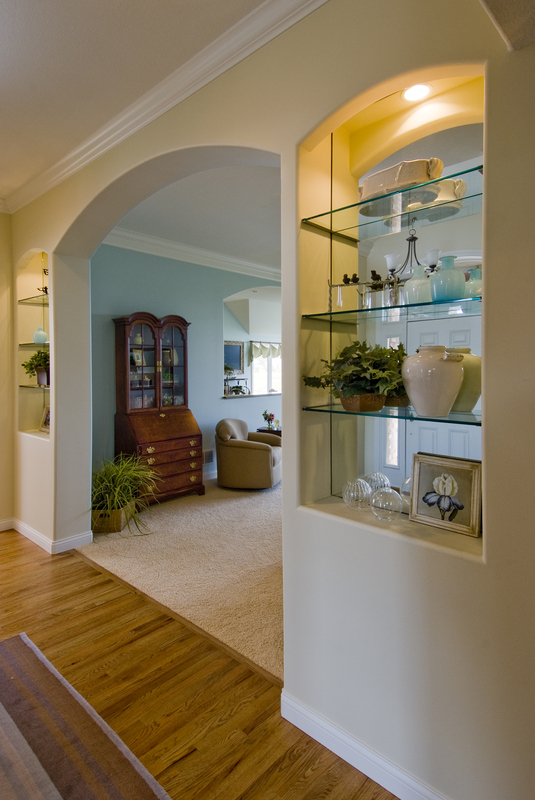 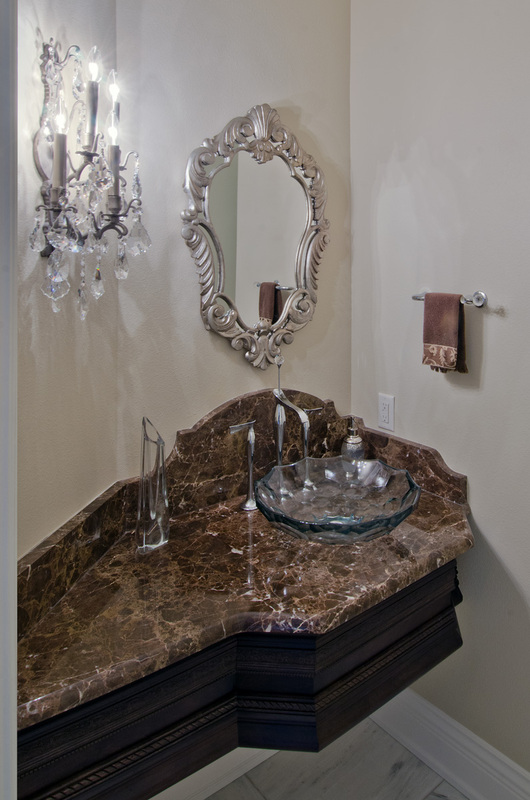 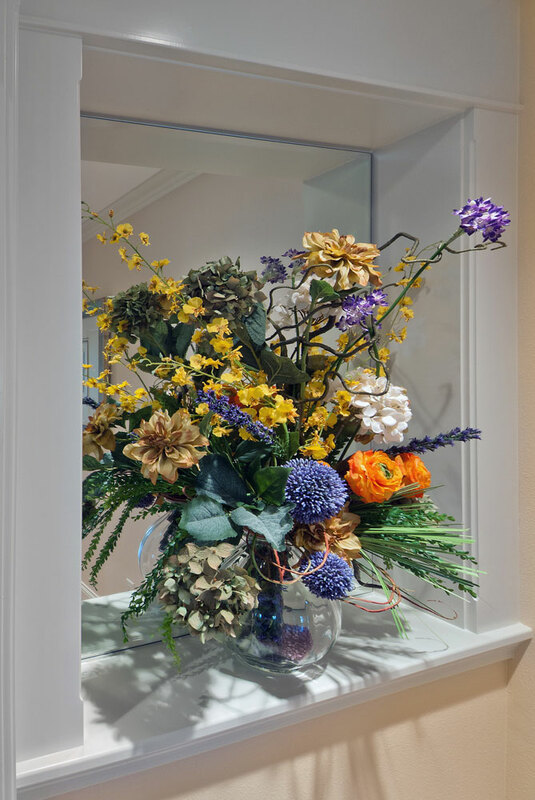 Showcase your treasures in a custom built Niche. 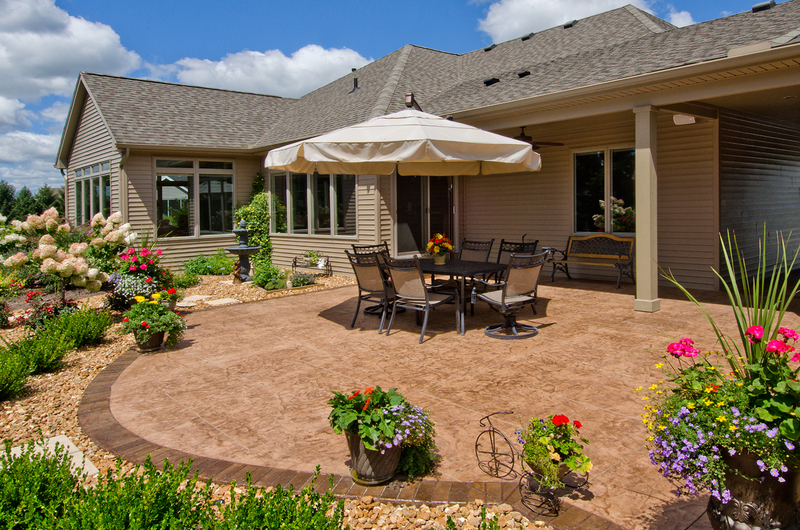 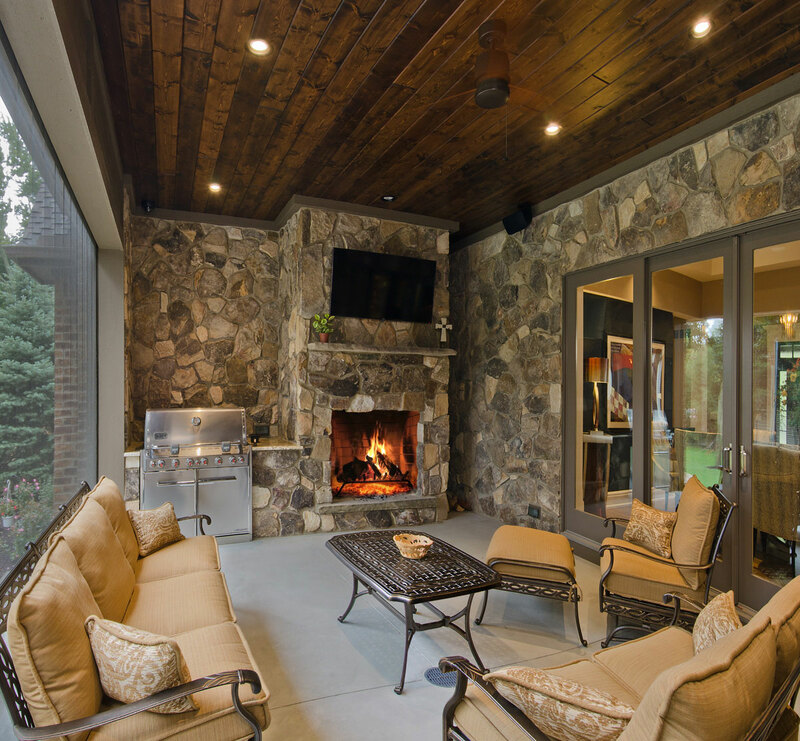 by remote to create an open patio or screened porch.